Ah, Pelicans, never thought of them as a West Texas bird, but if you follow the adage that “the west begins at Ft Worth”, then this qualifies as a West TX bird. 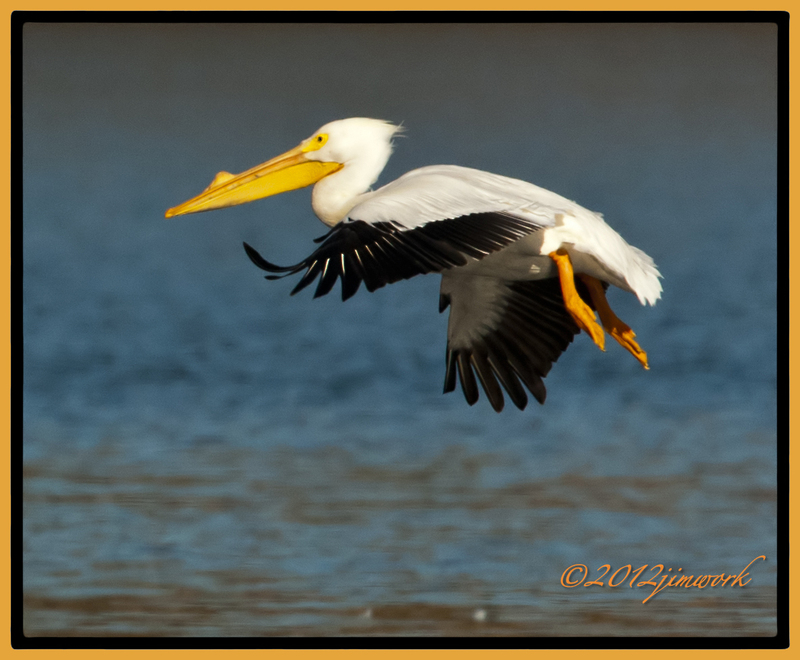 There was a whole “pod”, “pouch”, “scoop”or “squadron” of these American White Pelicans (Pelecanus erythrorhynchos) gathered at Possum Kingdom Lake near the state park. They were a fun subject and an amazing feat of nature that they can even fly. We got our bellies full of some of the absolutely best catfish dinners at a local dive named “Fox Hollow”. Our stomachs for sure held more than our beaks can. I love the intense colours in the photo. I remember that poem, thanks for the reminder… it is cute. Love the rhyme and your moment in time!